If there’s such a thing as a bluegrass supergroup, the Boxcars are it. Between them, the five members of this newly–formed outfit have played with all of the top names in the genre. Consider Adam Steffey, who was named Mandolin Player of the Year five times by the International Bluegrass Music Association, and won several Grammy Awards during his eight–year stint as a member of Alison Krauss & Union Station. 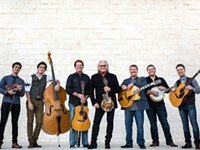 Or Steffey’s co–founder Ron Stewart, six–year fiddler player for JD Crowe & the New South. A multi–instrumentalist, Stewart played banjo (and fiddle) in the Dan Tyminski Band, an off–shoot of Union Station. Steffey was that group’s mandolinist. Both of these guys are in–demand studio players, too. And they’ve each made acclaimed solo records. The other Boxcars are fiddler and banjo player John R. Bowman (stints with Union Station, Doyle Lawson & Quicksilver, the New South and the Isaacs), guitarist Keith Garrett (co–founder of Blue Moon Rising) and standup bassist Harold Nixon (a dozen years in the New South). 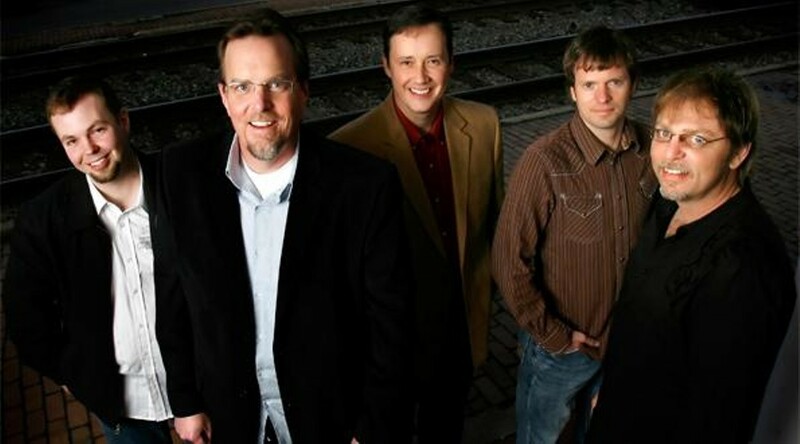 The Boxcars play Saturday, July 30 at Randy Wood Guitars in Bloomingdale. 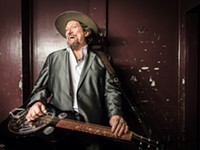 We spoke with Steffey, 45, about many things, including his lengthy tenure with the progressive bluegrass band Mountain Heart, itself a perennial favorite at Randy’s Place. People in bluegrass today seem to move around a lot. Couldn’t you have stayed in Union Station for 40 years and made a career out of it? Adam Steffey: I was with Alison for nearly eight years, I guess. She got married in 1998, and she told all of us she was going to take a year, or possibly more, off. That would have been tough for me. I wanted to keep playing, and I had just built a home in Knoxville, Tennessee. I left because I wanted to keep playing, and certainly financially I needed to keep playing. After that, I played with the bluegrass gospel group the Isaacs for about three years, and that was when I hooked up with Mountain Heart. And I was with them also for about eight years. A lot of people move around a lot more, say, than I have. I think it’s because bluegrass itself is just a really hard business. If you’re doing it as a living, if that’s your primary means of income. I think there are very few people who do it solely as their income. In this band, we have a couple of teachers – Keith, our guitar player, is a high school chemistry teacher. And our bass player Harold does web design and computer things. And we all do a lot of session work. You usually have to dabble in several things in order to take it all work. You mean you’re not a millionaire, Adam? Adam Steffey: No, the helicopter won’t be dropping us in to Randy’s this weekend. But that’s what you’re working for! Bluegrass is a tough business. I always tell people that I was at the right age – I was still young and dumb. I started doing this years ago, when I was 20, 21 years old. I was dying to do it and I was able to do it because I wasn’t married and didn’t have a family at the time. But folks find it really hard, and I think a lot of them get surprised when they dive in and start trying to make it all happen as a viable means of making a living. I think that contributes, as much as anything, to all the bouncing around. When you’re not getting a big huge chunk of money, you just have to really love it. How long were you and Ron with Dan Tyminski’s band? 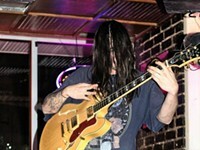 Adam Steffey: Dan’s band was together for two years, 2008 and 2009. And he was very up front with us when we started the band – he loved the idea of playing with us, but he wanted us to know that as soon as Alison was going to go back into the studio and put a tour together, that was his first priority. So we knew that going in, but we really didn’t want to miss the opportunity to play with that configuration of people. But me and Ron didn’t want to quit playing together after it was over, so rather than go back with another band, let’s see what we can’t do about staying together and putting something together. Obviously you have a lot of musician friends. But what process did you go through to choose the guys for this band? Adam Steffey: As much as anything, it was the personalities involved. There are a lot of great players out there, a lot of good young players. There’s a whole crop every two or three years; these new kids come on the scene that are just splittin’ it wide open. I hate to use the words “seasoned veterans,” but we wanted people that had been out, and traveled, and knew what to expect. Me and Ron could’ve looked around and found some young and hungry guys, who were lookin’ to just get out and blast off, but we knew that Harold, John and Keith – if they were even interested in seeing what it sounded like – would be great guys to travel with. The older I’ve gotten, this is something that a lot of younger bands don’t take into account: You have to have people in the band that you can rely on and depend on. And if you say “We’re gonna leave tomorrow night at 8,” they’re going to be there. You’re not going to have to wait around until morning for ‘em. Or you don’t have to go and drag ‘em out from under a car because they’re passed out from drinking all night. 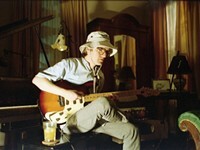 And everybody in this band has been in other bands where that may be the case, or different scenarios like that. This is an ideal situation, because everybody here looks out for everybody else. Everybody’s dependable. 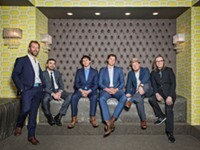 Mountain Heart is one example of a “progressive” bluegrass band – they have Josh Shilling, who’s kind of an R&B singer. How would you describe what the Boxcars do? Adam Steffey: On a scale of one to 10, if you put five in the middle as traditional, kind of straight–up bluegrass, and 10 as progressive, we’re probably about a five and a half to a six. Of course, we’re not wearing the matching cowboy hats and ties and all that, or the Porter Wagoner outfits, but the stuff we play is certainly more towards the traditional as far as the arrangements go. We try to do a lot of original things, and we’re real lucky that Keith and Ron both are great songwriters. That’s something that you have to have. We don’t push the envelope nearly as hard as Mountain Heart. Mountain Heart is almost an experimental unit. They just go for whatever. We have several multi–instrumentalists in the band, so we’re able to switch things up a little bit. Which we do throughout the show. We’re not a Bill Monroe rip–off, by any means, but we’re also not New Grass Revival.